Category: Ceramics. Tags: ceramic bowl, gift, green bowl, handcrafted, Moroccan, moroccan cooperative, one of a kind, Thank you gifts, traditional handicraft. A beautiful bowl from the Tamegroute pottery, a cooperative, in southern Morocco. 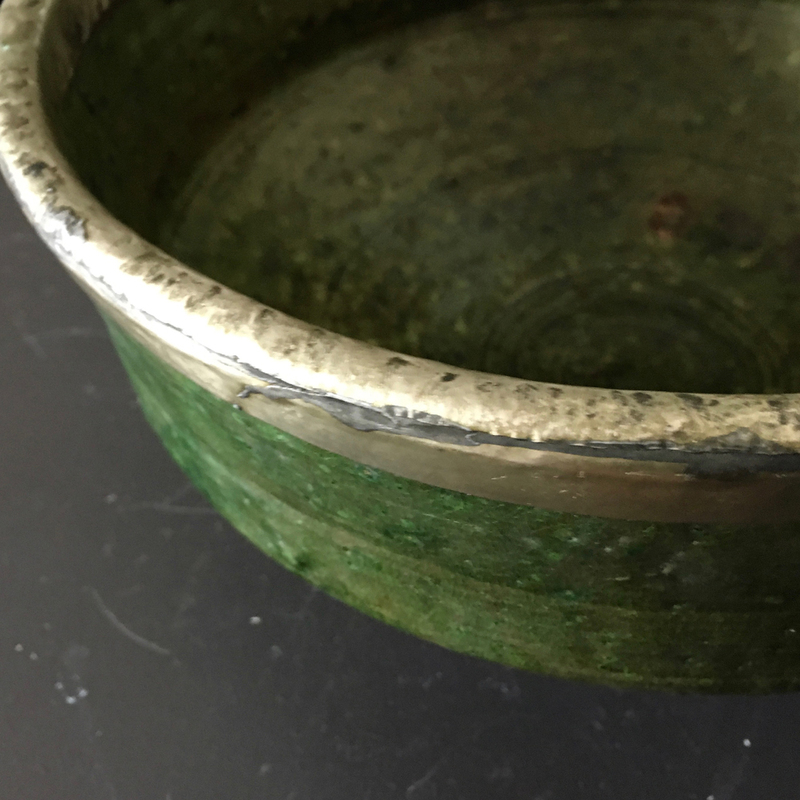 Each piece is made by potters using techniques and a special green glaze handed down from generation to generation. 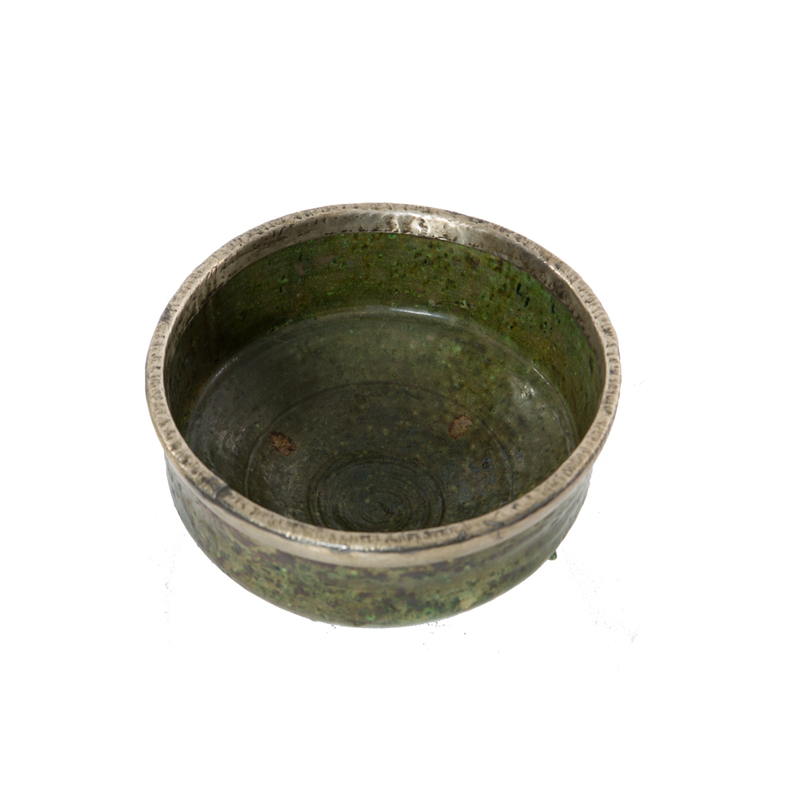 Each Tamegroute bowl is hand thrown and hand finished so no two pieces are identical. 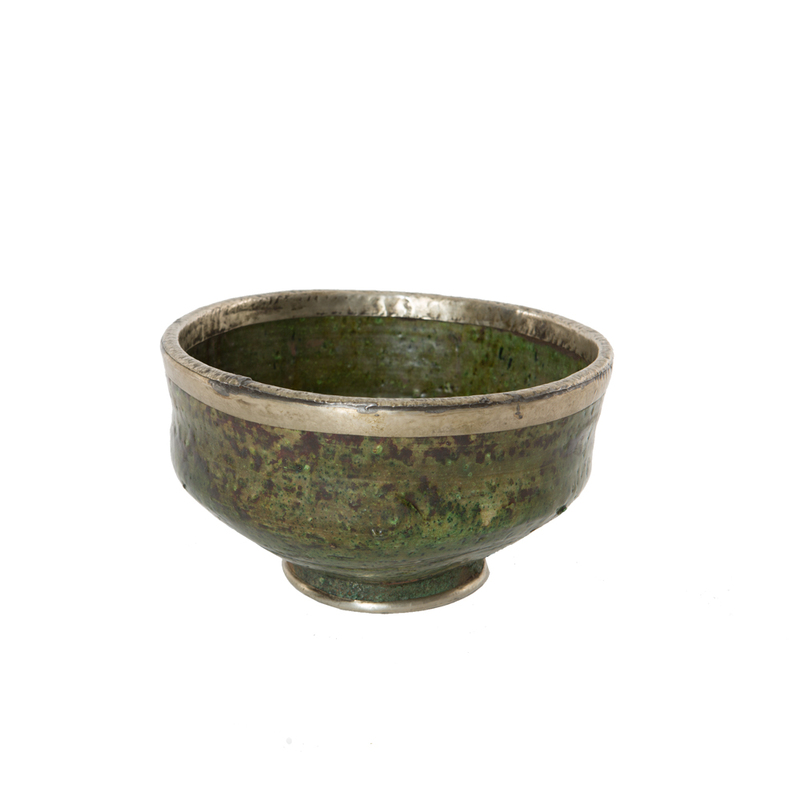 This distinctive bowl with its silvery rim will add shine and contrasts with the myriad of greens in the glaze.